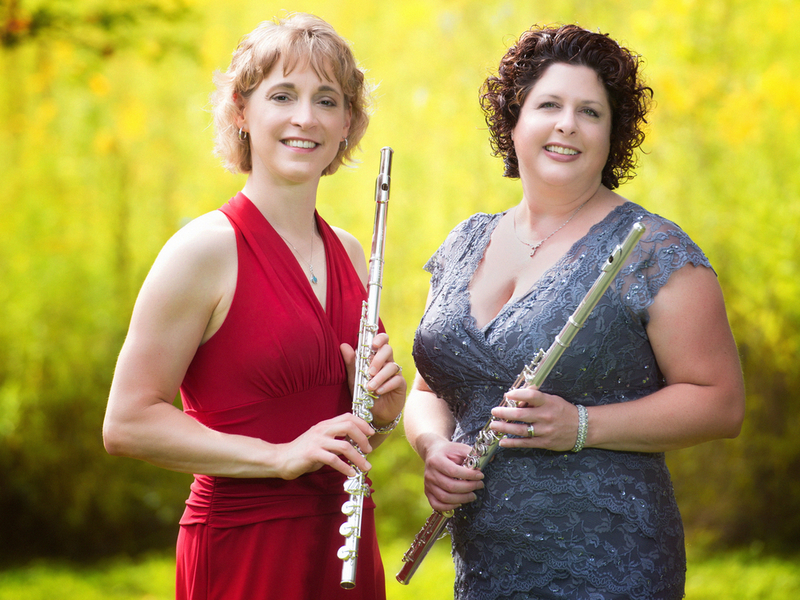 Aella Flute Duo was created in 2012 as a performing opportunity for two flutists from New York who relocated to Wayne County, Ohio. Aella (pronounced EYE-lah), one of the Amazons in Greek mythology, was known to be both fierce and strong. Her name “Aella” means “whirlwind” in Greek, making the name quite fitting for a flute duo. The Aella Flute Duo performs engaging programs in a variety of styles that appeal to a wide audience. Their mission is to entertain, engage and educate audiences of all ages through the incredible palette of sounds that can be produced by the different members of the flute family in an audience-friendly format. Denise Rotavera-Krain has been a member of the Music Department of the College of Wooster since 2007 where she serves as the Flute Instructor, the Director of the Tremolos Flute Choir, and as the coach for the Wooster Winds Quintet. Denise performs regionally as an orchestral musician including with the Ashland Symphony where she serves as piccolo/assistant principal flute. She is a founding member of both the Aella Flute Duo and Modern Muse Trio. Denise hold a M.M. in Flute Performance from Temple University and has studied with Martha Aarons, Kazuo Tokito and Adeline Tomasone. She is a member of NFA and AFM Local 159. Kelly Mollnow Wilson holds a M.M. in Flute Performance from The Ohio State University and a B.M.E. from Baldwin Wallace College. Her flute teachers include Mary Kay Fink and Katherine Borst Jones. Kelly has nine years of teaching experience in the instrumental music department of the Wooster City Schools in Wooster, OH and is a Licensed Andover Educator. She has presented Body Mapping workshops for students and faculty at Cleveland Institute of Music, Oberlin Conservatory, the International Flute Symposium at West Virginia University, at the National Flute Associations Conventions in 2006, 2012 and 2014. Kelly has performed as an alto flute soloist at the 2011 NFA Convention and on a program of music for flute and electronics at the 2012 NFA Convention. She is a founding member of the Aella Flute Duo and is a member of NAfME, OMEA, NFA, and PAMA. See for www.wilsonflute.com for more information.